Understanding the science behind graphic design (form) and its impact on markets and trends empowers us to communicate identity more effectively. What existing models (research) can we draw upon to guide our design efforts? What are the primary elements (building blocks?) used by graphic designers? What examples can we find of effective graphic designs made for specific purposes? How to graphic designs communicate meaning? How can research help improve our designs? To what extent does the design language of a company influence how it is viewed in the market? Visit this website site for a detailed explanation for each. 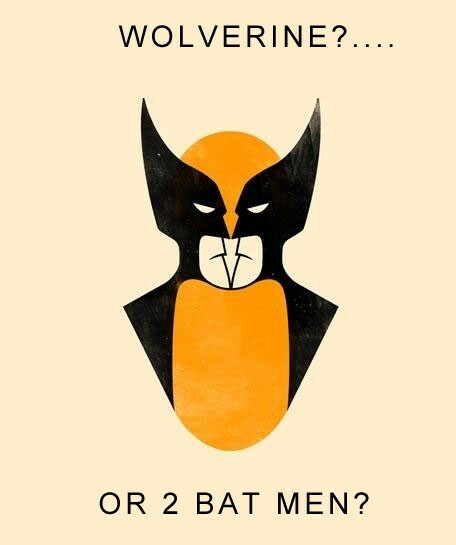 Which of the Gestalt laws of perception can you use to explain what is going on here? Another important area where graphic designers need to be knowledgeable is typography. Typography is the design and use of typefaces as a means of communications and it is both the art and science. Graphic designers choose fonts and typefaces and arrange words on the page very carefully to ensure they communicate the desired message as effectively as possible. We make meaning not only from the content of visual media, but also from the various design elements and how they work together. Colour, shape and space carry meaning and together they influence how we interpret the information we see. Through the process of designing and creating visual media for different purposes, we increase our awareness of this process and gain insight into how we are influenced by design. We can learn to use structural design elements to add additional layers of meaning. You are working as an intern for a new design company. The business is a startup, with many talented and enthusiastic young designers onboard. The company does not have a clear identity or design language. Your first job is to help shape the brand of your new company. Your team will develop a logo and business card (or series of business cards) that will help establish the company's brand image. You have access to a wide variety of tools to complete this task and it is likely that you will need to work with more than one. You have each been given a copy of the Adobe Creative Suite to get you started and we will spend some time familiarising ourselves with its use. You are, however, welcome to use whatever tools you find helpful to complete the job. Just be sure to explain and justify your choices in your process journal. As you document the process in your online process journal, use the following as a guide. Use the criterion strands as headings on your blog post. Imagine that you work for a graphic design company and you are talking to your client. You are trying to convince them that they need better branding to help their business. What will you tell them to convince them? Why should they care about branding? How will it help their company? Write a paragraph that details what this project is all about. What is the problem/situation that contextualises this project? What do you know about the client? How will a logo and branding help their company? You will develop your own ideas about what sort of design language would be appropriate for the client. Come up with 3 adjectives that you feel best describe the identity that this company (Studio 7) is trying to get across. These adjectives will drive the rest of your work. Every choice that you make after this should be about helping the company communicate this identity. Provide an explanation for your choices. Watch this video for an introduction to the ARMM model. In class, you will be provided with links to the rest of the videos in the series. In your own words, explain the ARMM model and how it works. Use what you have learned so far about the principles of design (ie Design Elements, Gestalt principles) to support your explanation. Provide concrete examples to illustrate. Each of us learn differently. Hopefully, you already have a sense of how you learn best. You have gotten a brief introduction to the principles of design and the particular elements used by graphic designers. You have also been introduced to some digital tools to help you with this project. You will probably need to learn a lot more on your own in order to be successful. What do you still want to know? Where will you go to find answers? Write a short paragraph outlining some of the things that you will need to learn about the concepts and the tools so that you can do the job. What else do you think you will need to learn? How do you plan to go about learning these things? Where do you plan to look? Be specific and give links to sources. In this unit, will have a look at the work of other designers to develop a deeper understanding of the different design elements and how they work together. We will try to see how they use shape, space and colour (etc.) in different ways to get a desired effect. Find 2 or 3 similar products (in this case, company logos) and provide an analysis of the use of different design elements in each. You should explain what you believe the designer was trying to communicate and whether or not you feel that they were successful. Justify your point of view with evidence and specific reference to the logos themselves. You should make specific reference to the principles of design and Gestalt laws of perception that we have covered. The logos that you choose should reflect the brand image that imagine for the client. Use the adjectives that you selected (above) to guide your choices of logos to analyse. You will likely be borrowing ideas from them for your own work. Steve Jobs famously quoted Pablo Picasso when he stated, "Good artists copy. Great artists steal." Have a look at this website to see examples of how web designers can borrow ideas. The next step is to look at typefaces. Now, do some research and try to come up with 3 typefaces that you feel encapsulate those adjectives that you selected earlier. Add them to your process journal and write a short paragraph for each. Give an explanation for your choices. Why does one particular typeface express one feeling or another? later on, you will design a font of your own using design elements from these three fonts. What design elements of each font will you use? Why? Finally, we will look at layout. Explore a variety of business cards and look at layout designs on each. Present 3 business cards from your field or a similar one that you feel express the feelings in those adjectives. Write a brief analysis of each explaining how it expresses those feelings. How does the layout contribute to the design mood? What is the product that they are asking for? A poster? A leaflet? What do they want to achieve with the product? What are the specifications for the product? Size? Where / how will it be used? Is there any specific content, such as text information or pictures that must be included? What is your client and what are their needs? Who is the target audience for your branding? What sort of branding do you plan for your client? Why do you feel that your idea is a good match for this company? What additional research have you done into the market that might be helpful? Below is a short documentary about the importance of the creative brief. It features some of the biggest names in architecture and design sharing their thoughts on how design briefs inspire their work. Below is the rubric that will be used to assess the quality of your work. The words in bold should guide you as you consider your work against the assessment levels. develop accurate planning drawings/diagrams and outline requirements for the creation of the chosen solution. During the Developing Ideas phase, we put together a list of design specifications to keep us on track and help ensure that our final project meets all of the requirements. We will use these design specifications to help select the best design ideas in this phase and to help measure success at the end. Below are a few examples to get you thinking. Try to come up with at least 5-6 design specifications of your own to guide you through this phase of the project. the final image resolution should be no less than 300dpi to ensure quality. In this section, you will work out the details about how your project will look, including the layout, colour palette, fonts, images, hierarchy of information etc... Prepare 3 or 4 possible designs for each and present them in your online process journal with brief explanation of the strengths of each. Your analysis of each one should make specific reference to the principles of design and the ARMM model that we covered at the start of the unit. You will need to get some feedback from members of your target audience to help you finalise your decisions. You may choose to do this activity on paper, in which case, you will need to scan your images to a computer to put into your process journal. Otherwise, there is a wide variety of simple sketching programs for your computer that you may want to check out. Look at each of your designs again and measure them against the design brief and design specifications. Use the feedback that you got from members of your target audience. Make your decision about which design you want to go ahead with and write a short paragraph to justify your choice. Now that you have made your final choice, you need to create a more detailed layout design. This should include specifics about what content will go in which spot. What sort of picture do you want here? There? Think of this as a planning step to get you ready for the next phase, Creating the Solution. If you know that you want a picture of so-and-so riding a dragon, then this will help you collect and shoot the images that you will need when it's time to create. lists the changes made to the chosen design and the plan when making the solution. Your 'Create' phase will have two main parts--your finished product and your process journal. If you have done a good job investigating, designing and planning in the previous two phases of your project, this part should be fairly straightforward. All of the important decisions have already been made and it is just a matter of putting everything into place. With any luck, everything will go according to plan. Of course, things don't always go according to plan. In your process journal, you will document the tools that you used and what you did at each step as though you were writing out a set of instructions (think about the projects that we looked at on the Instructables and Makezine websites.) Include any suggestions you have for your readers (i.e., the right sequence to do things, good places to find royalty-free images and fonts) and be sure to describe and fully justify any changes you made from your original plan from the Developing Ideas phase. Your finished product should be completed to a high quality. Not only should you include pictures of your final product, but I would like you to upload the completed file to your Google Drive and post a link to it on your blog. This way, you can share your work with others. They can download your project to take it apart to learn more about how it was made. Of course, you need to include your final product. You may, in fact, want to put some images of this at the top of the Creating the Solution section so that the reader has a clear image in his/her what s/he is working towards. Include a section at the end that explains and justifies any changes made to the original plan. Things rarely go entirely according to plan and that's OK. But it is important to learn from our experience. Did you make a change because of a problem that you ran into? Did you change your mind for some reason? Why? explain the impact of the solution on the client/target market. Now that you have finished your project, how will you measure your success? What testing methods can you use to determine how closely it matches your design specifications? What sorts of feedback will you use to help measure your success? Once you know how you will test your product to measure the level of success, you need to carry out your testing and document the strengths and weaknesses of the final product. Summarise and analyse any feedback you got. How else did you measure success? In this section, it is very important to be very specific about what you would improve, how you would improve it and why. Justify the changes with clear reasons. Explain steps you might need to take in order to make those changes. What new research might you need to do? What skills might you need to make those changes? In a separate paragraph, reflect on your performance throughout the phases of the Design Cycle. What did you do well? Why did those things go well for you? How can you use this success to help you in the future? What did you do poorly? Why do you think those things did not go so well? What can you do to improve in the future? Again, be specific. For example, "I will manage my time better," is not enough. A better example might be, "I will take point form notes during class and keep them on colour-coded stickies on my desktop. When I write my summaries later on, I will be able to use these notes to help me remember what I did." How do you think your product will be received by your target audience/market? Is this product likely to have the impact that you imagined? Look back at your design brief and explain how closely it fulfils what you initially set out to do. How successful is this product likely to be? By making the above changes, what difference is that likely to make?